A recent Reuters report showed that podcasts are much more popular in Ireland than most EU states. “A THREAT AND an opportunity for broadcasters” – that’s how podcasts were described by the recent digital news report compiled by the Reuters Institute. The worldwide research paper looked at a number of media trends in Ireland and threw up some interesting statistics around podcast usage. Roughly two-in-five news consumers in Ireland surveyed said that they listened to a podcast within the past month. That put Ireland well ahead of the 27% EU average – it’s also a higher rate of podcast listeners than registered in the UK (18%) or US (33%). Since podcasts became mainstream in the mid- to late-2000s, the phenomenon has slowly taken off as Irish consumers access to smartphones increased. 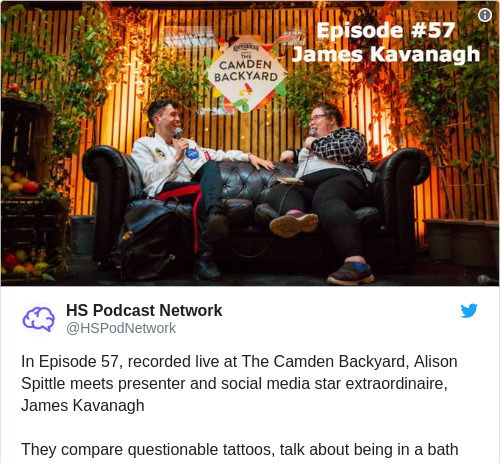 According to Alison Spittle, stand-up comedian and host of The Alison Spittle Show podcast, the medium has taken hold because of Ireland’s love affair with ‘the wireless’, but also radio’s shortcomings. “It’s down to radio. It has been such a good medium, but it has forced people to go to podcasts as well. The thing I was always frustrated with is Saturday afternoons is always covered in sport on every station. I like sport, but sometimes you need some choice. HeadStuff director Alan Bennett, who runs a business that produces podcasts commercially for clients, agreed that the Irish “love affair” with radio has given podcasts a kick-start in the market. “On balance we’ve always been fairly high in the listening to talk radio stats – podcasts are like talk radio but a bit better. You can have exactly what you want, when you want, where you want. A number of high-profile podcasts produced in the US, such as crime-documentary Serial, have shown the mass reach podcasts can have worldwide. Figures released last June stated the series has been downloaded 175 million times. Serial was partly financed by sponsorship from newsletter platform Mailchimp, but most free-to-download podcasts in the market are still wrestling with how to turn this new medium in a money-spinner. “I think from a media perspective and how much support it’s getting in the Irish market, the podcast sector is very much in its infancy,” said Eddie O’Mahony, chief investment officer at marketing group Core. Podcast group Second Captains has started to monetise its content through paid-for digital subscriptions on membership platform Patreon. However, O’Mahony said those in the industry are still working out how to make shows profitable and truly challenge radio. Before the podcast industry can make that commercial leap, O’Mahony said there are a number of kinks the sector needs to hammer out. He said the issues advertisers have with podcasts is the fact it’s still hard define the return on investment. “Instinctively I know we will be hitting more people and my coverage is greater, but I don’t have the research to know that and ultimately that is a drawback. Takeaway delivery service JustEat and burger chain Bunsen are two notable sponsors of HeadStuff’s podcasts, but Bennett admitted it has been “difficult” to get sponsors over the line. “We’re making most of our money at the moment through the studio and making podcasts for other people. We’re spending an awful lot of our energy explaining why podcasts are worth advertising on. “The likes of Squarespace and Blue Apron have put everything behind podcast advertising and it has done great for their businesses. No one has really done that in Ireland. People have this idea of taking a punt or a chance, they might try it for a month and not seen great returns, but that’s not how it works. You can’t do it for a month. Spittle’s own show, which is part of HeadStuff’s network, has secured sponsorship from cider brand Kopparberg. She said income from sponsorship goes towards paying her producer and editor Sarah Garvey first and foremost. She added that her main goal is not necessarily to earn money from the podcast; her motivations for doing the show were a personal desire to have her own talk-radio style show and also to generate a bank of evergreen content. “I have 50-plus hours of podcast content now. That’s a lot. It’s one of the things I put least into, but get most back from, if you break it down to hours of work you do on a sitcom or what you do on stand-up. Bennett said his network has a number of other comedians using podcasts for the same reason as Spittle, and even traditional businesses. Based on return on investment, adverts on podcasts in Ireland are more expensive than rates offered by television and radio, according to O’Mahony. However, this isn’t putting off advertisers from dabbling with ads on the platform. “The one thing you can’t lose sight of is it’s really important for brands to talk to as wide an audience as possible,” O’Mahony added. O’Mahony stresses that he can’t see podcasts replacing radio in the future; it will simply join the mix of audio platforms that advertisers need to be on. “It is not going to replace the kind of revenue that they would be achieving on radio. However, my perspective is it will become something necessary to do because ultimately people want to be able to consume the media and the programme they want on their terms. Podcasts offer that opportunity, a bit like how we consume TV now.